Part of a poster advertising some fun coming soon to Northwood Terrace. 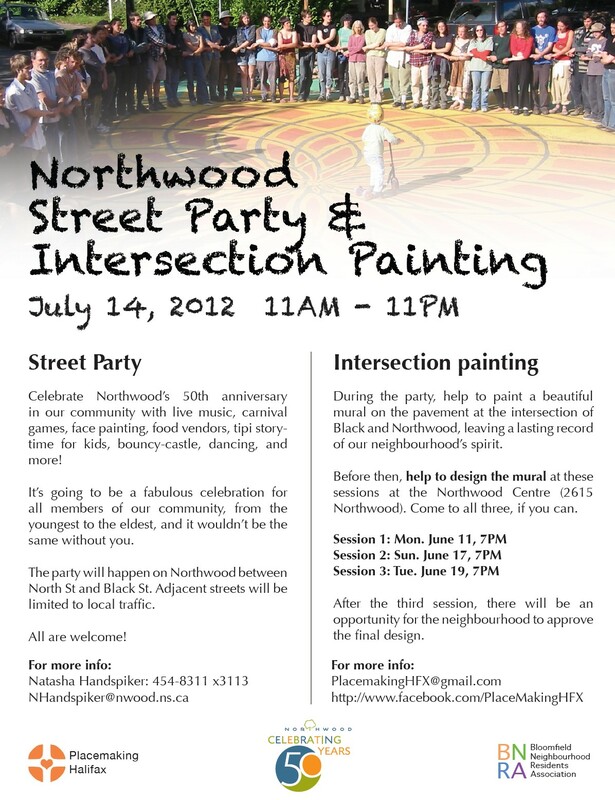 An exciting side of the upcoming Northwood Street Party on July 14 will be the painting of a permanent street mural at the intersection of Northwood Terrace and Black Street. The project has the potential to make a regular city street corner feel like a public square. Congratulations to the neighbours who turned up at several June meetings to create the mural’s design. People who want to lend a hand painting the mural can do so at the street party. Plus there will be music, a bouncy castle, carnival games and food vendors. A section of Northwood Terrace will be closed to traffic. For more details, click on the full event poster about the street party or visit the Facebook page that explains the mural project.